The Canon PowerShot G5 X is an enthusiast compact camera with a 1"-type BSI CMOS sensor and 24-100mm F1.8-2.8 lens. While it won't fit into your pocket like its shorter-lens peers, the G5 X differentiates itself with a more substantial grip, hot shoe and a fully articulating touchscreen. Unlike some of its peers, it only offers 1080p video. The camera is well-designed and generally a pleasure to use. Its three dials are usefully customizable. The lens dial is 'clicky' making it better-suited to controlling things like aperture, although the rear dial is fiddly and the rear controls a bit cramped. The screen's articulation is useful for movies and waist-level shooting and the EVF is great for bright weather. The G5 X's autofocus feels dated, and the nomenclature used by Canon can be confusing. The camera's depth tracking isn't great, and it cannot subject track at all. That said, focus speeds are generally snappy. While the G5 X can shoot JPEGs continuously at over 6 fps, the frame rate for Raw drops to a very disappointing 0.5 fps. Battery life is amongst the worst in its class. "The G5 X's EVF, rotating LCD, beefy grip and more direct controls make it worth the slight increase in size over its peers." Image quality is good but not great, especially for JPEGs. Colors are vibrant and pleasing to the eye. Noise levels (in Raw) are comparable to other cameras in this class, and you can pull a good amount of detail out of shadows. The G5 X's lens is soft, which is reflected in Raw images and especially JPEGs, where heavy-handed noise reduction and weak sharpening come into play. The G5 X captures 1080/60p video, which feels behind the times when other models are up to 4K. 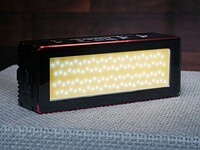 The touchscreen makes rack focusing easy, though enthusiast may bemoan the lack of an external mic input or exposure compensation in manual mode. On the whole, video quality is quite good in both daylight and lowlight situations. The Canon PowerShot G5 X offers a design that is more compelling that its other short-zoom enthusiast compacts. The EVF, rotating LCD, beefy grip and more direct controls make it worth the slight increase in size over its peers. 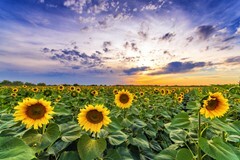 While the camera has respectable image quality, it's not best-in-class, due in large part to its soft lens. The same goes for it's autofocus system, Raw burst shooting speeds and battery life. The G5 X is worth a look if you want a smaller 1"-sensored camera with and EVF, but there are better options available. 12 Which camera should I buy? 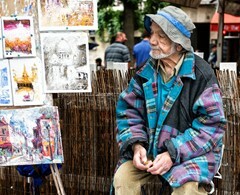 What it doesnt say here is that the lx100 makes manual photography so easy that its a pleasure even for automatic users. Its way simpler than a dslr. And semi manual speed and aperture modes are harder to describe than use. Perhaps I have been unlucky. I bought the G7X in mid-May. In July the camera over-heated and turned itself off when shooting video. Canon replaced the camera, free, except that I had to pay to ship it to them. Then on Sunday (Dec. 13, unlucky date?) it refused to focus properly. This issue has "crept in" for the past few weeks, occasionally refusing to focus. I could get it to focus by focusing on different things at different distances, but that was an inconvenience, to say the least. It was mis-focusing in dim light and bright light. I returned this second G7X to Canon yesterday. Canon quickly sent a replacement, refurbished, G7x. However, after a few weeks, it began to slow down, act "funky." I got frustrated, and called the dealer. Fortunately, Canon is cooperative to dealers; they would take back the camera for a full refund. It is also fortunate that I save the original box. I applied the refund towards a Sony RX-100 IV. So far, I like the Sony a lot. In Switzerland, you get the G7X for 438 CHF (~$), and in plus get 50 CHF Cashback, so in essence less than 400$. The RX100-4 is 850 CHF, so at least double the price. The LX-100 is around 600 CHF. so still 1.5 x the price. This makes the G7X a fantastic deal and especially make look all other models overpriced. Although not perfect, the G7X is a great little camera. 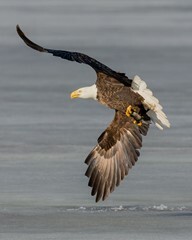 For this type of camera, shooting RAW faster than 1 per second is really not a must. But a tiltable touchscreen is a real plus! And yes, it is really pocketable! The LX-100 is a brick! 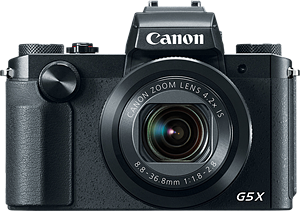 I pay most of my attention to the customer reviews, in which the Canon G5X outscores both the Sony and the Panasonic. I am not surprised. The Canon G5X is listed as having a mic in port- it does not, please correct this.......I almost bought one and learned it's not actually a mic port....would have been a regrettable purchase. just got mine today - I know im being a bit thick, but the attached strap doesnt loop onto the metal hinges on either side? Can anyone help!! There is a huge selection in this field and some have mentioned some that were absent and good contenders. I have several on this list and think that while good they are not quite great. What I'd like to see is the marriage of the G1XMII and the RX100Miv. I like the zoom range, touch screen, menu system and sensor size on the Canon but would like a new sensor design, speed and options of the Mark iv. 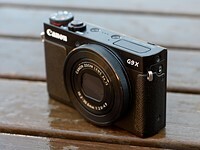 I think Canon need to make the G1X line truly world class. It needs to be pushing technology on all fronts and they really aren't. Hard to say as a long time Canon fan. Sony have so much innovation in such a small size they are almost in a class of their own. That said, a camera is a very personal thing and what works for some, doesn't for others regardless of its status in the roundup. If you look carefully at the Customer Reviews, I believe you'll see that the G5X did rise to the top. I pay a lot more attention to the customer reviews, because they factor in lots of things (e.g., reliability) not well covered by the dpr reviews. I stopped paying a lot of attention to customer reviews since the rise of viral marketing. Too often a lot of the people posting both positive and negative reviews don't even own the item. Amazon recently has started to try and cull such reviews. Now days its just to hard to know if the people writing the reviews are being compensated to write the reviews. How can the Sony be named the "overall winner" when it has the same score as the Panasonic? Looking for the prices ...hmm. I bought my Samsuung NX30 DX 20 MP - full equipped body even EVF with rotation possibility, touch sreen - super amoled, 9 fps, cheaper then majority of these tested compact cameras and Lightroom and lens included.and even additional lenses does not achieved RX100IV price. I prefer this camera than these cameras and there are even cheaper as NX20 or NX300 or NX3000 or with the best sensor in price range as NX500. 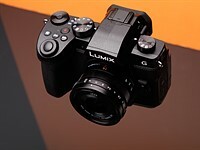 I also have compact camera Panasonic LX7 - it is good camera but together with optional Viewfinder I have paid more than for this Samsung and of courseLX7 does not much to NX30 and even small zoom aspect is solveed by NX 16-50/F3,5-F5,6 PZ lens and zoom in small package was the only reason I bought LX7. The camera market is very rich now, so the choise is difficult if we take the paremeters/price ratio into the consideration. I think in case of compact cameras price includes very high marketing costs and customers pay for it. IMO Canon took two different steps in the wrong direction with the G5X and G9X. On paper, many of the features (size, flip touchscreen, bright aperture, etc.) of the G7X were perfect for me. However, after reading the reviews it seemed the RAW burst shooting, lens, and AF were behind the competition. So I had high hopes for Canon's next effort. But it seems they improved none of these shortcomings and instead made a camera that was too big (G5X) and a camera that was too limited (G9X). Canon, just improve the performance of the G7X so it can take full advantage of its features, it will be perfect! It's funny the top two winners are Sony and Panasonic, which are clearly inferior to Canons and Fujis -- just look at the provided pictures. Or put it another way. Put a Sony M43 BSI 20MP sensor and processors into the LX100, add an ND filter and better VF, and I'll buy 20 of them to give/sell to my friends when they ask me which camera they should buy. But for now, I pass. It's sad that in 2015 Canon insist on loading a near class-leading body with a class trailing sensor. I've not bought a Canon in years (5DMk2), guess I wait a few more. The G1X2 is very capable under typical usage, but for me, the point of a camera like this (lens, sensor size, controls, features) is for when you have to take it places where larger equipment can't go. As such it will get pushed to extremes and a substandard sensor (banding and noise) will let you down after all the hard work was done. I have similar thoughts about the Panasonic. M43 sensors reached their (imaging) Peak over 3 years ago with the OM-D but have been static since. I'd really hoped we would have seen a 20ish MP BSI (or better) M43 sensor by now. I wouldn't put anyone off buying these cameras a their main camera, it's hard to find a bad camera these days and these all look excellent. But they all just fall a little short of ideal, suspiciously so, like the manufacturers are deliberately holding back. 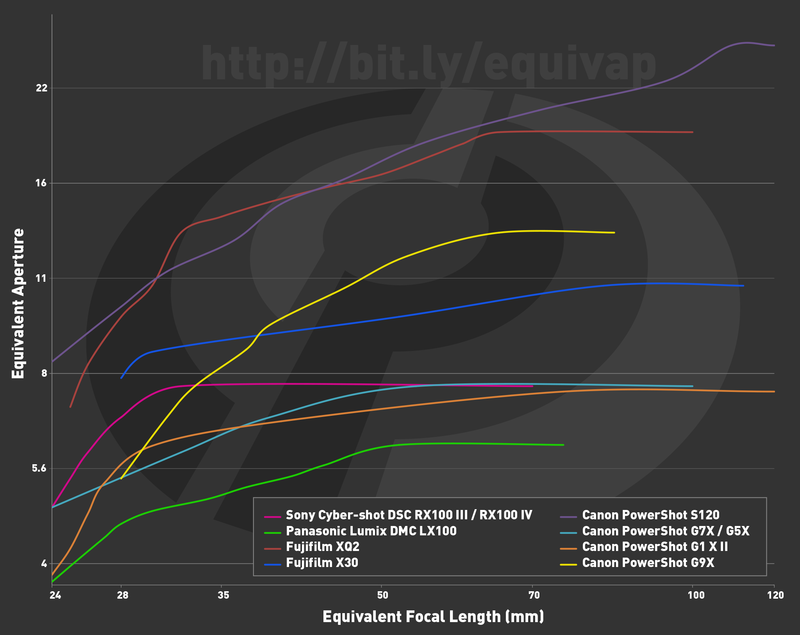 I do love the way dpr compares several p&s cameras with a graph of equivalent aperture and focal length. But it only appears in the camera news and later we can never find it again. Could you make such a chart tool and embed it into your comparison system? And it would be greater if dslr lenses are also included in this tool! And speaking of that magnificent chart - it is horribly unparsable for the partially colour blind. You can happily use black, white, red, yellow and blue. No green, no orange, no brown, no purple. If you need more, why that's why dotted lines were invented. Color blind taking colored photo needing to see the colored chart!!! That's not very flattering to the small sensor cameras -- manufacturers will be offended. They like converting the focal lengths, but conveniently forget about the apertures. @forepetes: I am confused by your comment. Please explain what you mean I assume you are not referring to "pinhole" aperture or a fixed aperture camera, like disposable film cameras. These are all compromised in one way or another, one just needs to choose according to one's needs. I chose the Canon G7X over the RX100IV simply because: it was a lot cheaper, and I don't need an EVF on this class of camera. The G7X does what it does very well; if you can't take decent photos with it, it is not the camera's fault. In experienced hands, any of these cameras can take very good photos. I don't think this is a bad reason to choose a camera, but as a 30+ year Canon user I do find it disappointing that Canon now completes on price and not as a technology leader. They tend to do just good enough to get by if they discount their cameras. Main reason I did not buy a G7X is my mirroless camera does not have an EVF and I am not going to make that mistake again. G5X: is it 28-100mm or 24-100mm? Five Canon models - but no room for a single Nikon camera ? The only one could be the P340 wich is 2 years and half old. There is the P7800, but probably not included since it has a 1/1.7" sensor. I guess the S120 still seemed relevant for some reason - I have some friends who only just bought one so go figure. If you walk into a store and ask for a good small camera at $250 chances are you'll still get pointed to an S120. They didn't include the Canon G16, which is also the same age. What you're missing is that Nikon hasn't offered much of anything in the enthusiast compact segment in the past couple of years. I don't know what the deal is with them. Maybe the J series is supposed to make up for that? Surprisingly [or not], there's nothing about the build quality and the durability of these cameras. They are supposed to be "pocketable", so we should be able to take them everywhere without special precautions. I have purchased 2 "G" Canon in the past: G2 in 2001, G10 in 2008. 14 (!!!) and 7 years later, respectively, both cameras work perfectly and have only minor scratches. I do not have a Sony, but I know that RX100s have quite notorious reliability and durability issues. They have certainly brilliant studio performance, however I do not live in a studio. Sadly, reliability and durability are not even discussed in your roundup. I have stuck with an RX100 II, preferring zoom to bokeh, which I have dragged through three continents, rough outdoor work: Kamchatka, South Africa, Iceland, Alaska, Yukon, Utah, etc. It is an extremely durable, reliable camera which I would recommend to anyone for exactly the "notorious" characteristics you are criticizing. @sierranvin: it's a classic case of YMMV where RX100s are concerned. I had a very lightly used RX100 mk I, which I sold after not more than a year, and it just died shortly afterward. The very nicely built RX1s are apparently experiencing lens focusing failures (not mine so far). I would strongly urge anyone buying Sonys (and I still do) to factor in the cost of a 3 year protection plan. For somewhat obvious reasons, we don't, & can't, test durability. I'll say this though: of the numerous cameras & lenses I've used, I've only ever had a couple fail on me, & I shoot waterfalls/in rain routinely. Once a Canon 5D classic died from the mist of a waterfall, & once a Nikon 70-200 F4 VR just completely crapped out (focus would rack back & forth & never stop/lock) for no apparent reason. I've doused two Sony a7R II's in tons of water, dropped a RX100 IV on concrete, had a colleague fling a RX100 III to the floor from his desk, had a friend mail me a RX100 Mark I in a simple, small USPS bubble wrap envelope, with literally no other protection, across the country - and aside from a small ding here & there, had no issues whatsoever. Even rechecked the lenses for issues - none. My point? Experiences vary so wildly that you'll only have meaningful data if you test hundreds of every unit. Also: these devices are pretty darn robust, & you're better off worrying about other things. 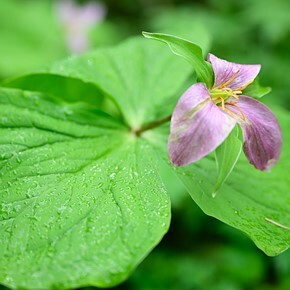 Why DPR does not test some feature such as RX10's weather sealing? Every camera brand has had issues. This an excellent point. Also a good value for money discussion would be good. I agree, Canon quality is always great. Today I still use Canon PSA 540 (2006) besides my latest Canon PSS SX710HS (2014). Right, obviously you cannot really test durability. However, you do not say much about build quality either, which often relates to durability. Recently I was about to purchase a RX100 IV to replace an older compact. I have no doubt that it is -technically- an excellent tool. However, in my hands, it was relatively flimsy (lens, EVF, flash). Again I might be wrong, but it is a critical parameter IMO. My antiquated G Canon are still alive and fully functional. Although I am aware that, in 2015, Canon compact cameras are somehow "behind", their robustness is reassuring. I often have to travel with a compact only and no backup, so I want to trust the compact. Just bought a LX100 because I can't get used to the ergonomics and formfactor of my RX100 III. I absolutely love the LX100 and the RX100 III therefore will be used by my kid. His "My First Sony". Being Small could be a PRO or a CON, but the selling point of RX100s are being Small. LX7 is a good P&S, and I bought EVF mainly for low-angle shooting as LX7's EVF can be flip up. I still keep/use LX7 for UWA as I bought Tube adapter + UWA [+ Tele adapter] for it. I'll replace my RX100.M3, if there is P&S can have UWA/Tele added on liking LX7. Understood. It's personal favor I think. - The EVF of the LX100 is very well implemented. So much better than the one of the Sony that I don't miss the tiltable screen on the LX100. The LX100 EVF screams "use me, use me, use me" where the Sony EVF is only good for emergencies. - I never use flash. - No build in ND filter is no dealbreaker for me. I never miss it. 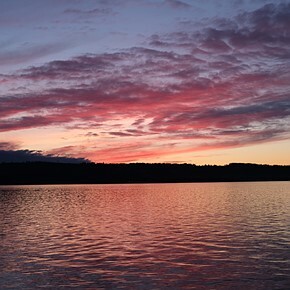 In the end for me the LX100 is a joy to use. Extremely well implemented controls and EVF. It is a real photographers camera that matches my Fuji's in these aspects. The RX100M3 is a compact camera. Made for point and shoot photography and not focussed on usability. The controls are fiddly and the zoomring has a terrible delay which I can't get used to. The EVF is mediocre. Good things are. Good IQ and tiltable screen. Yes, buying a camera is a very personal choice as always. LX100 is $200 cheaper than RX100.M3. BTW, If users shoot high/low angle vertically [which I do not], buying a camera with fully articulated LCD liking Canon G5X, not RX100.M3/4. I do not think LX100's control is well implemented, also I do not like the lens flare. As well, having no auto lens cap slows down the flow; another bad usability. Again, that's why LX100 is much cheaper than RX100.M3, imho, bad usability. Did you ever try the LX100 for a few days or is your opinion based on reviews? [Again, that's why LX100 is much cheaper than RX100.M3, imho, bad usability]. Nah, a cameraprice is not based on usability. The LX100's design is more than 10 years old, and it does not work for me. BTW, the more than 10 years old LC1 has flash built in. It may not work very well for most of the users as $200 cheaper than RX100.M3 is an evidence. $350 cheaper than M4. Even though, Amazon sold more M3/4 than LX100 as far as I can see. There is sth called common sense while designing a camera which Pana is losing it. Panasonic was very good for designing P&S, but the clock was stopped @ LX100. Too bad, and I feel sorry for Panasonic. That is your opinion but not a fact. Many people like the proven ergonomics like on the LX100, Fuji, Leica and other rangefinder style cameras. Most users are not into photography. In this industry, like all other industries, there are leaders and followers. SONY is a leader in ML and P&S, Pana and Fuji are just folowers, LX100 and FUJI Xs, from X10 to X1000, look like 60 years old Leica, but they are not Leica. BTW, I prefer rangefinder style cameras too, and I'm waiting for a7000. Sony is only leader in developing sensors. That's all. They don't do well financially. SONY never did well financially for past 15 years. Canon is most profitable company by just looking the way Canon does for developing cameras. I like rangefinders b/c it is low key even I do not like that the EVF is in the corner. No camera division does really well :) But these companies do more than only cameras. So they'll survive. The problem is that if making Camera becomes a very profitable business, Chinese companies will step in. just look all other consumer electronic business. So Japaneses cameras' maker will never make sizable profits, imho. For those in the market for one of these that is a tremendous choice. Even the lesser one are good it seems. You're absolutely right. The collapse of the mainstream compact camera market has pushed everybody to make their enthusiast compacts so much better. I can't help but think that Canon sometimes gets a bit of a harsh ride in some reviews and forums, and that some more recognition should be given to real world pricing. You can currently pick up a Canon G7X for under £300 online in the UK, while the equivalent discounters will charge £430 for a Sony RX100 iii and £600 for an RX100 iv. Granted the Canon has no EVF, is slow in RAW continuous, has less advanced video and less than ideal corners at wide angle / open, but it has a control set-up that looks much better than the Sony (including touch screen focus point selection for a start), has a brighter lens over a significant portion of the range, has a usefully longer reach at tele and (I can say having spent more time than I ought looking at samples online) sharper results in many cases at the 50mm+ end of the range. For many users (myself included I suspect) it would be a better buy than any of the RX100 family. I think one of those Chinese polaroids would satisfy you. You've sort of proved my point. I agree. I owned a Sony A7 and A6000 and came back to Canon recently and found the return refreshing on so many levels. I don't disagree with you, but the problem is, prices may not be so cheap in other markets. 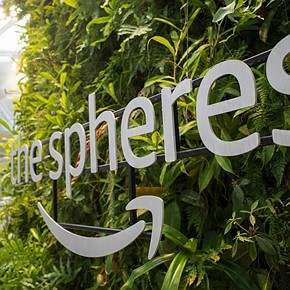 Certainly in Asia (except for Japan), you're going to be paying the recommended retail price, or something close to it. If you can get something cheap as a travel compact, then the limitations of the camera would probably annoy you less. But on the other hand, I ended up getting my Fuji X30 as a dedicated compact over a Canon G16 because as much as I liked the Canon, I hated the OVF and manual focusing. 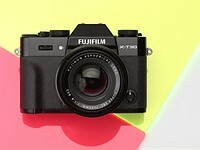 Since both were priced about the same (at the time I bought it), it was a no brainer to get the Fuji instead. The Canon G9X is for me the only true pocketable candidate here. I don't understand why dpr mentioned the pocketable size on the pro side but fixed LCD and no hot shoe on the cons side. There is a reason why it is so pocketable. I would say the Sony RX100 series are pretty pocketable. You can certainly fit them into the pocket of your jeans. It's really quite good if you're shooting mostly in auto or at least aperture priority. But if you're a manual shooter, the ergonomics will be a constant struggle. There is something wrong with the line-up where 2 years old Canons and Panasonic LX100 are competing in the 2015 round-up. RX100 is the king of progress and sophistication, just crashes the competition especially up to date Canon's "advanced compacts" which BTW use Sony made sensor. Remembering the great G and S series of Powershots, it is truly remarkable that Canon let the whole segment of best (at their time) advanced compacts (which they sold a ton), slip into such sad stage. My believe is that being too careful and sleeping on the job are two of the most dangerous things if you want to lead in ever changing environment. There is no business as usual comfort when you become the follower. I can't agree more. They do 90% of work and then fail at the finish and miss the mark.. It looks Canon gas a pretty decent hardware platform (lens, video chip) but then they fail with autofocus speed, with JPEG rendering..etc. They should make better software and release more frequent patches. True. 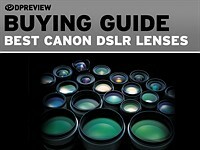 Five Canon models listed here, and they're basically derivatives of each other. Still the G5X at least looks like a serious attempt to correct the G7X's flaws. Though we'll need to see if the AF performance has improved a year on from the G7X. 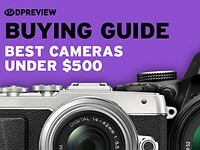 Out of the 10 cameras covered, five are Canon models, but no Canon models ended up on the 'Which camera should I buy' page - interesting. I don't think having a batch of advanced compacts is the best strategy for Canon. I haven't paid attention to high end compacts in a while, but having so many G-series models is confusing. But if I had to pick a high end compact, I'd honestly be happy with almost any of these. I'd also be drawn to Canon - my first camera was a Powershot G1. I had a lot of fun with that camera, despite its limitations. Yeah, it's like a shotgun for Canon - a spec for what they thought was everyone, yet none hit any particularly relevant points. The G9X may be more pocketable than the RX100, but the differences are minor at best (a small lenscap, basically) and it gives up too much. Sony pretty much nails everything people want - but at a high price, which they've circumvented by having all generations still on sale. These round-ups are interesting, but a bit more limited than 'they used to be' - but don't ask me when, I can't remember. What the older ones had was some sample photos (not studio tests) including showing how well (or not, as the case may be) the cameras handled fill-in flash - the differences were surprising, I think with the Fuji (but that was back in the X10 days) being really rather good at the fill-in flash. Very goed point! TrIed most of them extensively and the fujis excell in flash. Fill flash is perfect. Remarkably better compared to some of the dslr and mirrorless systems I use (d). One of the reasons I grabbed an X30. To supplement my XF1. Words ending in -able or -ablilty don't need hyphens. Just sayin'. Despite its lack of of any standout features and some significant deficits, I find myself most drawn to the G9X out of all of these. It fulfills - better than any of the rest - arguably the most important goal of a pocket camera, which is to fit into a pocket. The RX100 series have ballooned in thickness to the point where they can be fit into a set of pleated dress pants, but not any jeans that are in style, and no pants at all if I want to do my daily commute by bike. The G9X is nearly a full centimeter thinner. The current RX100 is like putting an iPhone 5 into the same pocket as the G9X and expecting it to fit comfortably. If I don't need something that fits in a pocket, I'll just take my GX1 + 20mm/1.7 and enjoy superior image quality in a package only modestly larger than any of these. But that's me! The original RX100 is still available and the same thickness it always was. Sure, the subsequent models are thicker - a tilting rear screen makes that inevitable. They're still remarkably small for what they offer. I do find the size and weight of the G9X remarkable, but its slowness is hard to accept when everyone else can make cheap, speedy cameras. For a friend of mine who never shoots bursts or video and is used to older, slower cameras it will probably be ideal. 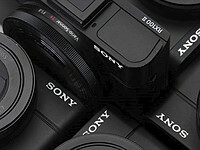 But it will have to compete with RX100 models that are either cheaper or better specced, and certainly quicker. The G9X is still 5mm thinner than the RX100, has a similar lens and the newer BSI sensor, and has the added bonus of the touchscreen, too. I'm not sure it's quite as good value right now, but within a few months I imagine the price of the G9X will be within spitting distance of the original RX100, at which point it seems like a definitively better buy to me. It looks like Canon fodder. Five camera's sent to the front but none make it to the end. Bet Canon outsells all of them. A side by side size comparison would have been nice. The LX100 for example is (no suprise) about the same size as a PEN. The Sony RX100s are really tiny. Haha! Yes, I know this site. Very usefull. 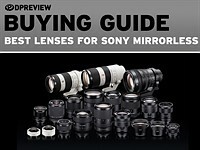 I allready used ist to compare all the cameras in the roundup. But the don't have all of the cameras in this roundup. But they have predecessors. I still think a little size comparison would have been nice. The picture on the first page is not accurate in scale, or? You say in the introduction that "the Panasonic Lumix DMC-LX100 use a slightly smaller Micro Four Thirds chip." Surely there is no such thing as a Micro Four Thirds chip. It is Four Thirds and the "Micro" part refers only to the lens mount. It uses a full sized M4/3 sensor, but the image circle only covers 80% of the sensor, no matter the aspect ratio. And I though 4/3 is a type of mount. 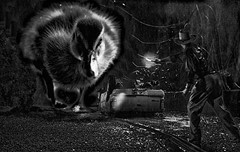 @noirdesir, not any more, Olympus shot that line down. it's still a mount obelix just like canon FD is still a mount while no one no longer uses it nor cares about it doesn't matter. G7 X with 24-100 mm f/1.8-2.8 isn't good enough? No...it's really not. If they had put a higher grade lens and faster AF it would do. But the lens is WAAAAY to compromised. Also the AF is nowhere near the competition. I've used the Canon g7x, lx100 and rx100mk4 side by side and the lx100 has the faster AF with the RX100 slightly behind. The Canon wasn't in the same league. The build of the Canon g7x was good though. Canon S120 is included, but Panasonic DMC-LF1 is not? Why? Both S120 and LF1 were in the high-end pocketable compacts roundup last year. The LF1 was even chosen as best affordable high-end pocketable camera. It offers more zoom than the S120. It's still available. Because the LF1 have an even smaller sensor. Wich somewhat exclude it from this category now 1" sensors are "the norm". You're right, I messed up with XZ10. don't why it made it on this list with 4 more interesting Canon's already here. I really like and want the lx100. But QC issues that plague the lens of the camera really throws me off. I just don't want to have to take a chance of getting one with a decentered lens. Also I dont want to feel the need to baby the camera, to keep from messing up the lens. If you out it into a coat pocket the chances of it running into something are high with it unzipped. The RX100 mkVI is just stupid expensive. What other pocket would you prefer me to put it in? My cargo pocket? It would still run into things. I put my xz-1 in my coat all the time. Hence why I know it would run into things. LX100 is too large for most pockets. Furthermore when you indeed manage to out it in a pocket you don't deserve this camera. Uhhhhh....the lx100 isn't THAT big. If I can fit my fuji XE-2 in my coat pocket I'm sure the lx100 would fit as well. I don't know what kind of costs your wearing but in the Pacific Northwest, we wear coats that can take the rain and wind. So that means in all likelihood a northface, Columbia or Arc'teryx. All have nice sized pockets....stop being weird. 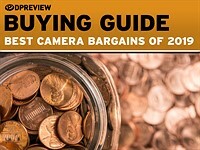 What about "best cameras for your mom" ? Seriously - a large number of your readers are able to pick up a camera. But I fall into a stupor when the task is to buy a camera for a gift to snapshoter.I mean a person, who will not do anything, except to press a shutter button. And then come to the fore completely different priorities. In this case is very important Automatic.Like color rendering and quality of Face detection AF. It is also important dimensions and design to the camera does not burden your grangma/mom/siste/child and liked it looks. Moreover, in this test can take part as a camera with a sensor 1 / 2.3, and the cameras like RX 1 and x100 - they are large and expensive, but provide a "bokeh", which is so pleasant to people. But still far more important automation - Chinese smartphone for $40 can be useful for such a person, if we assume that the RX 1 in "green mode" inclined to make unnatural colors or uncorrect exposure. Sorry for bad english. I think the single most important usability feature by a country mile for people not really interested in photography and only use a camera infrequently is battery life and/or ease/speed of charging. 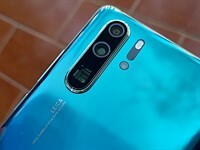 Their cameras are typically stored for long periods between special occasions or trips so the battery is invariably drained and they have to go through the hassle of recharging it first every time before they can even take a pic. This is why the phone cameras are probably best by default because the camera is built into something that the person uses and re-charges every day anyway. Should have included Sony HX90V. It was already in a round up. Plus....it wouldn't have barely been a footnote among these cameras in this round up. It doesn't even shoot raw. It's like having a toddler(hx90v) walking up to Olympic lifters(lx100/rx100mk4) in the gym and asking them..."Do you even lift bro?!?". While the toddler flexes. Just not on the same level. When is the Nikon Coolpix P7800 replacement coming?!? I must say as a Canon user I am mightily unimpressed with the pedestrian if not downright insulting Raw performance of the G5X ! Are these cameras deliberately handicapped or not? It is perplexing, because I find it hard to understand why a company like Canon cannot do better performance wise. The G5 X is an appealing camera otherwise but 1fps in this day and age is poor to say the least. It isn't a cheap camera either and clearly is targeted at folks who have some understanding of the uses of better performance. If Canon are deliberately handicapping these cameras you have to ask why? It isn't like they have some better performing compact cameras they want to steer you towards. And if it is to protect their DSLR/MILC sales, then they misunderstand what consumers who might be interested in an advanced compact are looking for - it isn't a large, ILC. No, it's not to protect their DSLR lineup... There's a technical reason behind this. Canon jumped lately into the 1" wagon, purchasing sensors from Sony. The G line went straight from 12 to 20mp and the Digic 6 (in his compact body version) was not powerfull enough... it's as simple as that. Remenber that the 7DII is 20mp too, and fast... but it's equipped with 2 Digic 6 processors. I suspect a quite "old" lithography process, wich means power hungry, just as older processors on smartphones or PC. We'll have to wait for Digic 7 to see any improvement on this topic. It just shows you even if you are the 'biggest & betst', when you are new to a segment -like mirror less and 1inch sensors- you have to play catch up. I agree with all the disappointment here, but just want to make the case that the Canon G7X is quite a bit cheaper than the Sony RX100s. In a value for money contest, perhaps it would do better. You hit the nail on the head...cpu power lags for Canon. Heck the Sony A77II is faster than than the 7dII and only uses 1 bionz cpu. Hang on a second... the G line has 1 Digic 6 and does 1fps, but the 7D2 has 2 Digic 6 chips but can do *10 times as many fps*. Something seems wrong with your logic, even if you assume the chips in the 7D2 are clocked higher. Sidath, it's a good point. Since I don't know precisely the processing pipeline and where the bottleneck is, it's difficult to be more specific. Also, we don't know anything about the Digic 6 architecture... maybe there's significant changes between versions, but sold with the same commercial name? In the same way, why the G5X can process less than 1fps in raw while he can do 5.9fps in jpeg (x6 more) ? In the end the raw file is only +/-3 times bigger (see imaging ressources samples). shouldn't the processor have to do less work saving a RAW than processing a JPEG? Hachu21: I can think of many reasons for the discrepancy, but going with occam's razor, the most likely reason is that the feature is intentionally crippled for marketing reasons. I wish Canon would stop holding back :( I've moved to Sony now, but still use Canon glass which continue to push the boundaries in ways that their bodies stopped doing back in 2009. Canon, quantity over quality. Always making sure that their cheaper products don't ever outperform their more expensive ones. It used to be an effective formula when they had the best IQ. 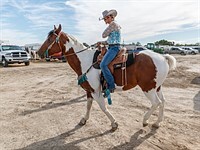 nice te see and to read this years Round Ups. 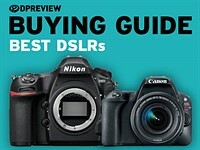 But you guys from Dpreview have the taken the Nikon D750 a class to high. It's much, much better to compare that camera with the rest of its "own" class, the cameras from your $1200 - $2000 class. The same for the Sony A7S and A99. "The Force is strong... on all of them!" - Darth Shutterbug (whizz, puff. whizz, puff, whizz puff). "The Canon G5 X offers a microphone input for video recording", really? Check this video, https://www.youtube.com/watch?v=lpUTjaSyc-g, clearly it does not offer any external microphone input. It is a shame the reviewer here has not done his/her homework by checking the facts, one have to question the professionalism. Yes yes yes - it's all very nice. But when will video with global shutter and 60 fps be availabel for consumers ?